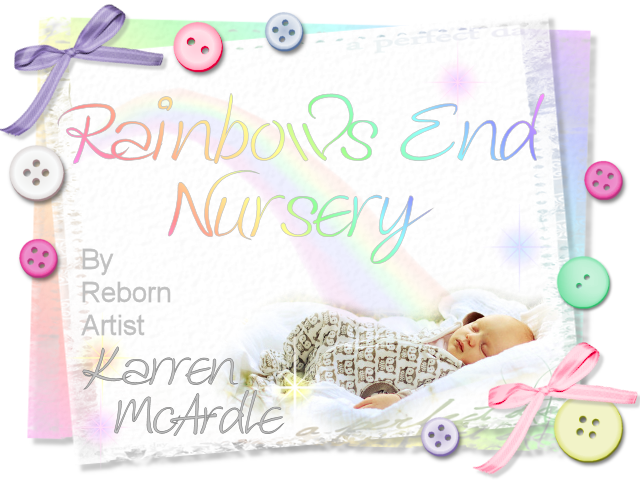 Welcome to Rainbows End Nursery, I am a reborn artist based in Dundee, Scotland. a PRA*ISE Award for my babies and customer service. On my site are babies reborned by myself, and other Artists from whom I have purchased babies for my own collection. I have always had a passion for dolls and have collected Barbies for many years. I usually have reborns for sale, either through the site or ebay. birthmarks or anything else that takes your fancy. I can also offer pre payment plans when needed. Marissa May, Joanna Gomes and Simon Laurens ready to reborn.